Please include the following information: Your Name and Title, Mailing Address, Publication website, Telephone number, Title of Book, Author, and Anticipated Date of Review or Broadcast. New publications should include information about your circulation and intended audience. You can download an image of the book covers from the individual book pages. If you would like to schedule an event with one of our authors, please contact James Barrett-Morison at RainChainPress@gmail.com, or use the contact form below. For all other inquires, please fill in the contact form below. 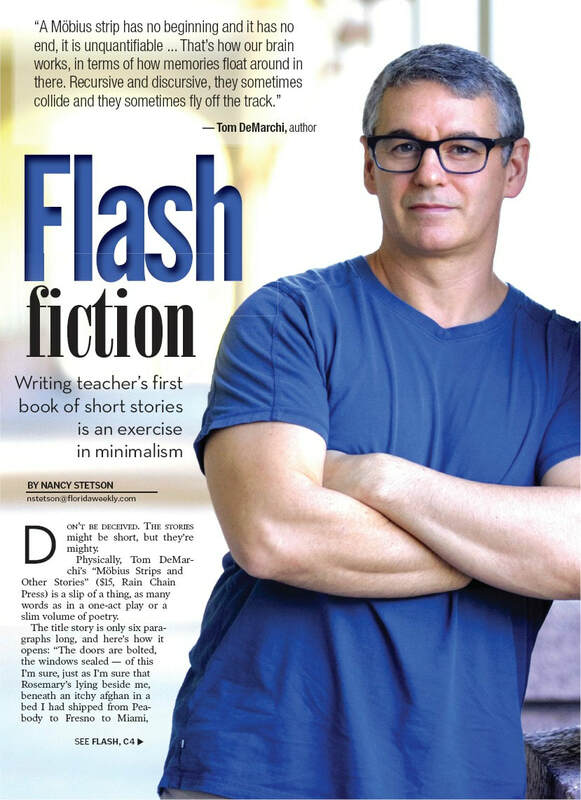 Tom DeMarchi, author of Möbius Strips and Other Stories, was interviewed in the Fort Myers News-Press March 13, 2019. "Many of DeMarchi's stories are steeped in dark humor and sadness," writes Charles Runnells of the News-Press​. Möbius Strips was also featured in the Fort Myers Florida Weekly on March 20, 2019. "These stories might be short, but they're mighty," writes Nancy Stetson. 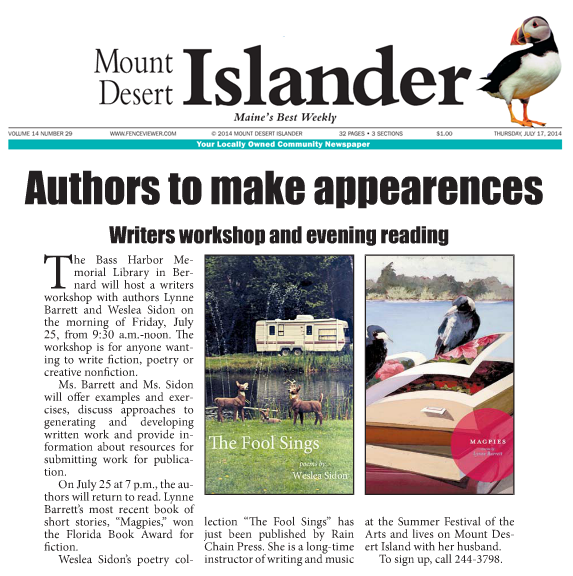 The Fool Sings launch event July 2, 2014, was featured in the Mount Desert Islander, as were the workshop and reading at the Bass Harbor Public Library July 25th and the event at the Jesup Memorial Library October 23rd. 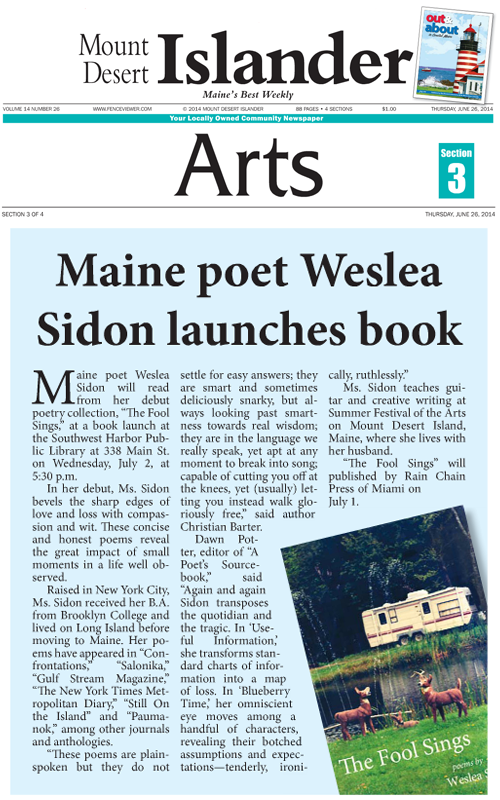 Wesley Sidon's poem "Closure" was featured April 26, 2015, in the "Take Heart" column of the Portland Press Herald.